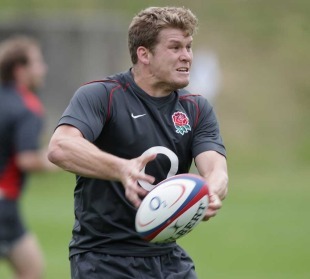 Gloucester No.8 Luke Narraway will captain England in Sunday's non-cap game against the Barbarians at Twickenham. Coach Stuart Lancaster has delayed naming his team due to a number of injury concerns, including Northampton scrum-half Lee Dickson. The 26-year-old requires shoulder surgery and has been ruled out of this weekend's game and the forthcoming Churchill Cup. "We've got a couple of other injuries to assess and we'll have a look at some potential replacements in training today against the England Under-20 side," Lancaster said. "Another 24 hours will give us time to finalise the squad before we move to Pennyhill Park and train at Twickenham on Friday. "Our preparations have gone well overall and we're pleased to announce that Luke Narraway will captain the side, which is a great reflection of the form and leadership qualities he's demonstrated at Gloucester this season." Saracens-bound fly-half Charlie Hodgson is likely to start in a backs division set to include capped internationals Matt Banahan, Ugo Monye and James Simpson-Daniel. The Barbarians name their team on Wednesday.